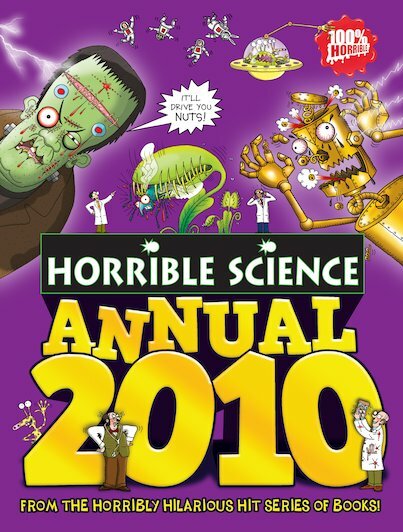 It’s back again, more gruesome than ever – the world’s only annual with the squishy bits left in! Most annuals don’t have any science in them – let alone any horrid stuff to make you say ‘eeek!’ But intrepid explorers know that in the sickening realm of science you’ll find all kinds of weird wonders to fascinate you … and make your stomach heave. There are grisly bugs, putrid poisons, and the nastiest creatures in nature! There are cruel chemicals in poisonous potions, and forces to crush you like an ant! So if you’re sick of annuals that give you another boring year of same-old, read the one that rediscovers the world – with all the squishy bits!